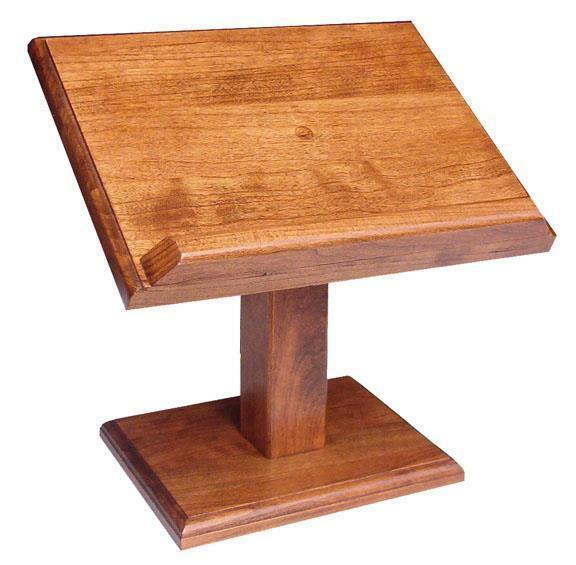 A gorgeous solid wood stand handmade in your choice of oak or cherry wood, the Amish Hardwood Small Cookbook Stand or Bible Stand prevents you from losing your place when conducting a service at church or cooking that special family recipe in your kitchen. Measures 9.5" x 7.25" x 10"
A larger stand is available. Check out the Amish Hardwood Large Cookbook Stand or Bible Stand too. 9.5" x 7.25" x 10"